Why have I developed gallstones? Bile is a mixture of cholesterol, salts and waste matter secreted by the liver in a well balanced proportion. A change in this balance results in super-saturation of cholesterol or other pigments or salts. 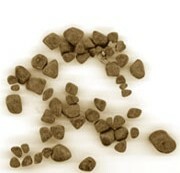 This then results in precipitation of small crystals which enlarge with time to form stones. They are seen predominantly in the Western population possibly due to our diets. About 1 in 3 women, and 1 in 6 men, form gallstones at some stage in their life. They become more common with increasing age. The risk of forming gallstones increases with pregnancy, obesity, and if you take certain medicines. What symptoms will I need to look out for ? Can they be left alone or do I have to consider treatment ? Incidentally detected gallstones in patients who are not symptomatic may be left alone. But if they are causing symptoms or presenting with complications one has to consider treatment. Acute Cholecystitis: Is the commonest complication, which is an inflammation of the gallbladder. It presents with severe abdominal pain associated with fever and sickness. The abdomen is very tender to touch and patients find movement or any physical activity difficult. One has to take bed rest, plenty of oral fluids and antibiotics which have a high concentration in bile to treat this. Current recommendations based on the Cochrane review of all studies suggest that an operation early in the acute phase gives good results. Patients who are malnourished, fragile with ill health from other causes, diabetic patients and those on systemic steroids need to be careful as cholecystitis in them can have higher risks. Jaundice: if the stones migrate out from the gallbladder into the bile duct they can obstruct the flow of bile from the liver. This results in jaundice giving rise to a yellow skin, yellow discolouration of the white of the eyes and dark urine. The offending stone may pass into the bowel spontaneously, however one may need an endoscopic procedure (ERCP) to remove these bile duct stones before treating those in the gallbladder. In debilitated patients high levels of jaundice, fever and sepsis (cholangitis) can have high risks. Pancreatitis: The bile duct and pancreatic ducts have a common channel opening into the intestine (duodenum). Gallstones after migrating from the gallbladder can be caught in this common channel and result in obstruction of the bile and pancreatic ducts resulting in pancreatitis. The pancreatic enzymes that are obstructed can result in severe pancreatic inflammation which is sometimes life threatening. An endoscopic procedure (ERCP) may be needed to clear these stones and open the lower end of the ducts to prevent this happening again. Empyema / Perforation of Gallbadder: Empyema (collection of pus) or perforation in a gangrenous gallbladder can sometime occur if the inflammation is very severe in an obstructed gallbladder or if the blood supply of the gallbladder is affected. The treatment is emergency admission and drainage of the pus or operative removal of the gallbladder. Can the stones be dissolved ? This treatment works only if the gallbladder functions normally and the stones are made purely of cholesterol. Both these factors are not usually seen and stones that rarely dissolve on medical treatment are seen to appear again. This can be carried out for renal stones but for gallstones this therapy will result in shattering of the larger stones into smaller particles which are more dangerous as they could result in jaundice or pancreatitis after migrating into the bile duct. This therapy is hence not routinely practiced. This is the “gold standard” treatment for gallbladder stones. Also called as “keyhole”, surgery. With the patient under a full anaesthetic, tiny cuts are made on the abdominal wall and carbon di-oxide gas is introduced under controlled pressure into the abdomen. With long fine instruments and a telescope and camera relaying a picture on the screen the surgeons operate within the abdominal cavity with a non- touch technique. As there is no major incision or handling of the intra-abdominal organs the recovery is swift and easy for the patient. Most patients are having fluids 4-6 hours after their operation and are mobile to use the toilet. They are given a light supper that evening and mild pain killers. The following morning they are ready to have a full breakfast and usually wish to go home with prescribed mild analgesia. Some patients wish to have this operation as a “Day Case”. Young patients are suitable for this approach where the patients go home the same evening after a 6 hour recovery period in the hospital. They are given mild analgesics and have a dedicated phone number to contact should they have any problem or wish to discuss an issue of concern. Should however the operation be difficult or complex the surgeon will elect to keep the patient overnight in hospital for observation. Patients who do not like to stay in hospitals or have young children at home express a strong wish to go home that evening. One needs to have good support at home to be able to do this. In 1-2 % of patients the laparoscopic procedure has to be abandoned and a conventional incision is taken below the right rib cage to remove the gallbladder. This may be necessary if the gallbladder is very inflammed and adherent or if the anatomy is complex and not clear. The patient may thereafter have a slightly prolonged recovery and may need to stay in hospital for 3-4 days. One cannot predict this until the keyhole operation is started. Studies have shown that in 5-7% of patients there are silent stones in the bile duct in addition to the stones in the gallbladder. These stones are not evident on pre-operative imaging or suspected based on liver function tests. They can remain in the bile duct and produce symptoms later on in life. The only way to pick up these bile duct stones is to carry out a procedure called cholangiography which entails slipping a fine canula into the bile duct during the gallbladder operation and injecting a radiological contrast and taking some pictures. Stones in the bile duct will show up as tiny filling defects. This procedure adds another 5 -10 minutes to the operating time but is exceptionally useful and should be routinely carried out. There could be anaesthetic complications which are related to the heart or lungs. This is uncommon due to good intra-operative and post-operative monitoring and advanced anaesthetic drugs. Wound infection related to the small cut from which the gallbladder is removed can occur, but is rare. Injury to the bile duct which is a narrow tube to which the gallbladder is attached can occur. This may result in bile leakage. The incidence of this in literature is 0.2-0.4 %. Should this occur one may need an open operation. Carrying out an intra-operative cholangiogram can help in detecting this injury early. In the majority of cases stones in the bile duct are ones that have slipped there from the gallbladder. Rarely one can get primary bile duct or intra-hepatic stones which are caused by biliary or liver diseases. These stones can be removed during the same operation using special instruments and catheters under screening or under direct vision using a telescope (choledochoscope). The alternative option being an endoscopic approach post-operatively called ERCP. This is an endoscopic procedure carried out under sedation. The scope is passed through the mouth and passed down into the duodenum which is the intestine beyond the stomach. The pancreatic and bile ducts open here through a common channel. With a painless technique the lower end of the bile duct is opened and the stones extracted with special catheters. The procedure is often carried out as a day case and patients can return home within 4-5 hours. If the stones cannot be extracted in one sitting a small plastic tube may be left in the bile duct (stent) to be extracted later. The complications can be bleeding from the small cut in the intestine or pancreatitis. This advanced technology allows us to look at the bile duct by carrying out an internal ultrasound scan. The ultrasound is incorporated within the distal end of the scope. This procedure is safer than an ERCP but can be used only to detect bile duct stones and not remove them. One would have to do an ERCP thereafter to remove these stones. The EUS and MRCP (magnetic resonance cholangio-pancreaticography) are both useful diagnostic tools for detecting bile duct stones, however EUS has a higher sensitivity especially when it comes to very tiny stones. EUS is also a day case procedure carried out under sedation and patients can return home in 4-5 hours. This radiological imaging modality is very useful in outlining the anatomy of the bile duct and pancreatic ducts. It provides a road map and helps the HPB surgeons to plan treatment. With the availability of EUS and ERCP facilities in most tertiary level units in UK the use of MRCP has decreased. The surgeon in this clinic is specialised in biliary, pancreatic and gallstone disease and performs approximately 150-200 gallbladder operations a year. He has a open operation conversion rate of 0.75%. All patients will undergo an intra-operative cholangiography to ensure there are no stones left behind in the bile duct.